Worthy of a blog themselves (which Gizmodo provided earlier this week), the Heaven’s Gate cult website still exists to this day – and this is despite the members of the cult all drinking the cool-aid in 1997. A galaxy of information (pun intended) about the group and their activities is still available online. You can still even order their book. HTML validated as 4.01 Transitional with 97 errors. I like Star Trek. Hell, I love the films (except part 5, but let’s not get into that). However, I consider myself a ‘restrained’ nerd when it comes to Science Fiction. I don’t read comics, I’ve never cosplayed, and I’ve never learned a mythical language. 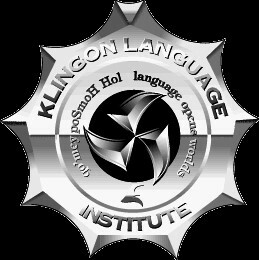 The team behind the Klingon Language Institute (or KLI) don’t seem to share my sentiments. Apparently Klingon is “the fastest growing language in the galaxy”, or at least it was when the site was launched way-back-when. Learn handy phrases for use in everyday conversation, subscribe to the quarterly magazine “HolQeD” or sign up to the postal course for students. Qapla’! HTML validated as 4.01 Transitional successfully! (It is a very simply site after all). In 1996 an awful, awful attempt at combing the classic cartoon characters of Warner Brothers (Bugs Bunny, Daffy Duck, Porky Pig etc.) 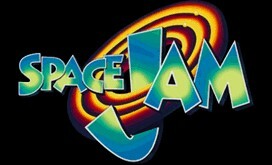 with the then-popular basketball player Michael Jordan, in a quasi-live action motion picture, was released. While eventually making its money back over six months of release, the film was considered a financial flop. Don’t expect much from the website either – it actually uses framesets. Take a journey to Planet-B-Ball and answer quizzes about which characters call other characters “long-eared galoots” (answer: Yosemite Sam), or buy the film soundtrack on audio cassette for $8.99. Amazing! HTML validated as 4.01 Transitional with 6 errors. One of the oldest sites still running (1995! ), this untouched repository of articles about the trial of Orenthal James "OJ" Simpson of the murder of Nicole Brown Simpson and Ronald Lyle Goldman – of which he was found not guilty. A fascinating look back on arguably the world’s most well-known murder trial, filled with broken images, a non-functioning server-side NCSA image map (remember those!) and user comments bordering on conspiracy theories. HTML validated as 4.01 Transitional with 25 errors. View Previous blog Designing around the limitations of our cognitive systems. View Next blog Is Your HTTP Redirect Losing Your Querystring?